B Square is an elegant and decent property located close to Sivaji Park in Visakhapatnam. 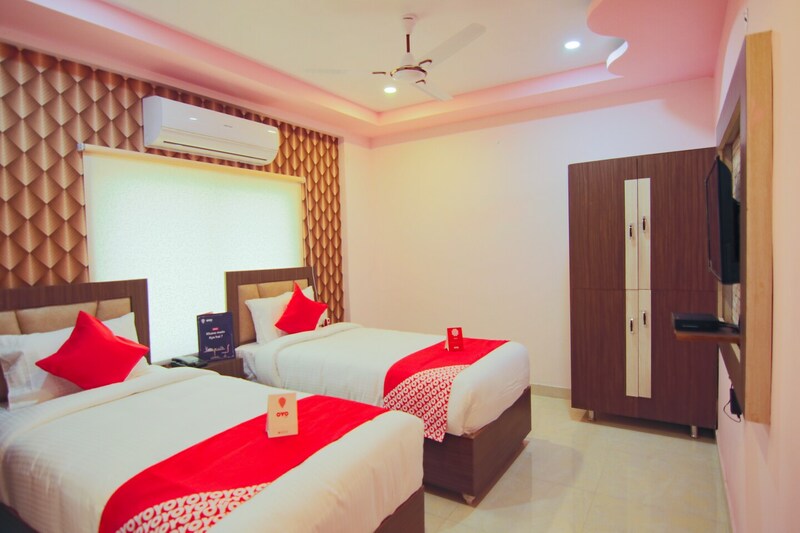 The hotel has comfortable rooms that are equipped with modern amenities. The room interiors have been done in simple and clean lines. There are some decent eateries like McDonalds, KFC, Pizza Hut within a kilometer of the property, in case you want to do some casual dining. Other amenities include AC, TV, free WiFi and geyser. In case you need any assistance during your stay, reach out to the 24-hour helpdesk.